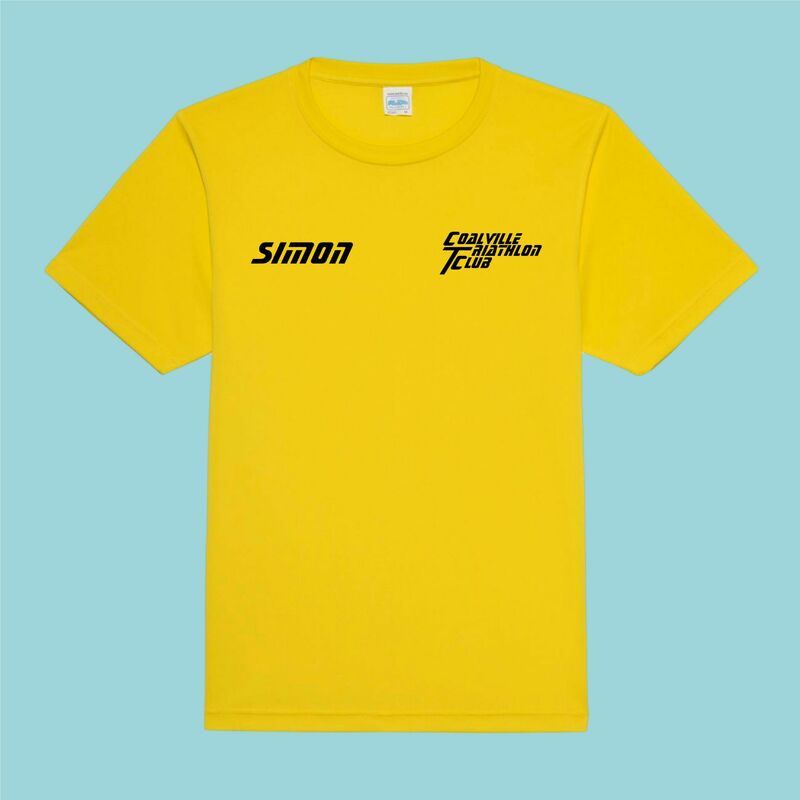 These 100% polyester t shirts are perfect for running in, as it is moisture-wicking fabric. 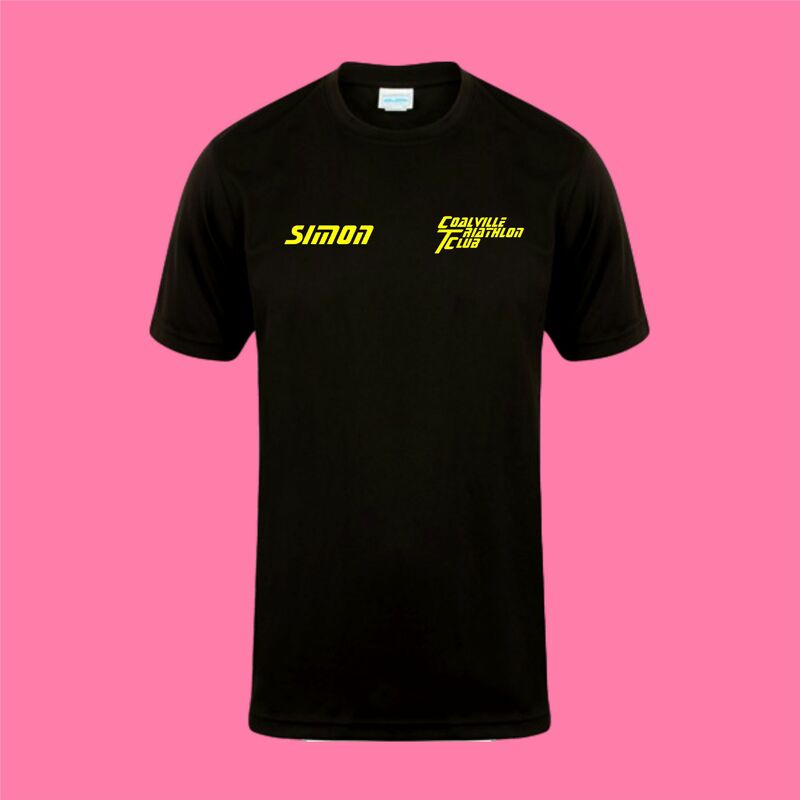 The CTC logo is printed on the chest and on the back, and is personalised with your name on the chest. 10% from every sale will be donated to Coalville Triathlon Club. Mens chest sizes: XS 35" S 38" M 40" L 43" XL 45" 2XL 48" 3XL 50" 4XL 53" 5XL 55"
Please note that if you leave the name and/or hashtag text box empty, your t-shirt will be supplied without these prints.